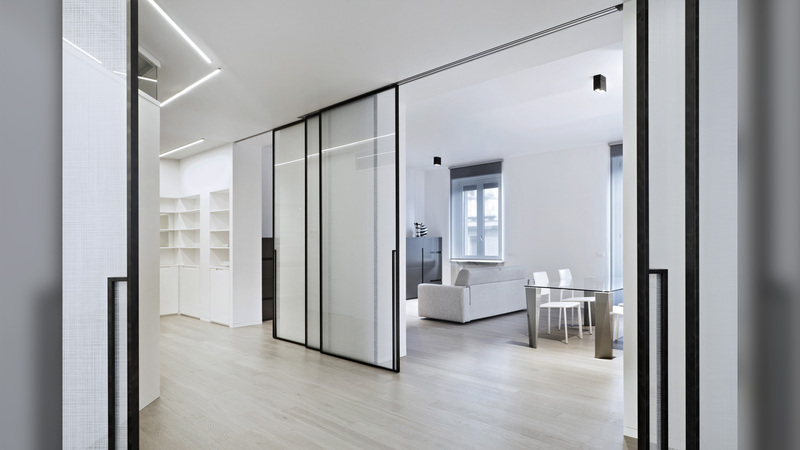 Located in the center of Milan, in a ’50s, the new design has been conceived to take advantage of the fact the apartment looks onto two streets thereby meeting the functional needs of the client, thus creating a large living area, entirely separate from the private sleeping quarters. 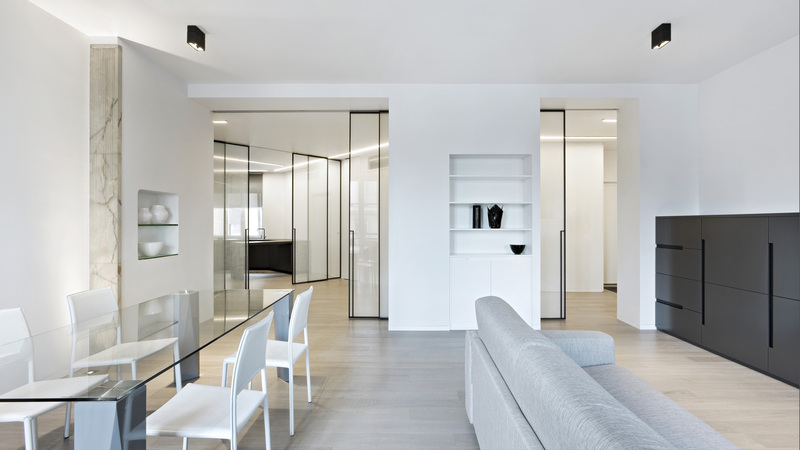 The living area spreads out diagonally, creating a dynamic and articulated space that connects simultaneously the east and west sides of the apartment. 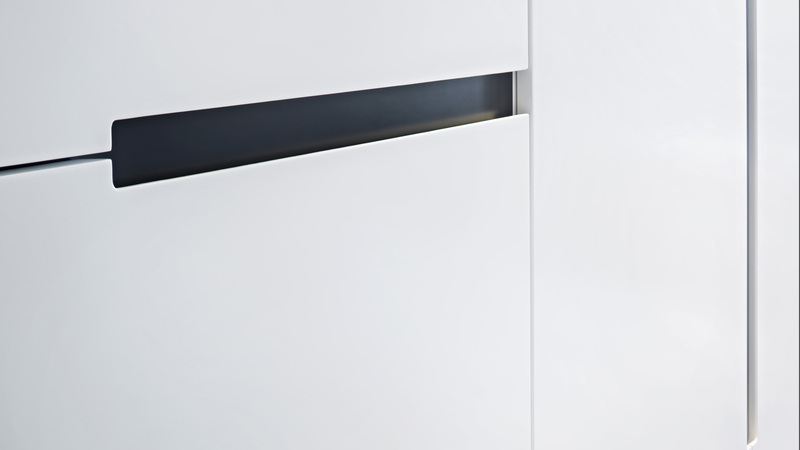 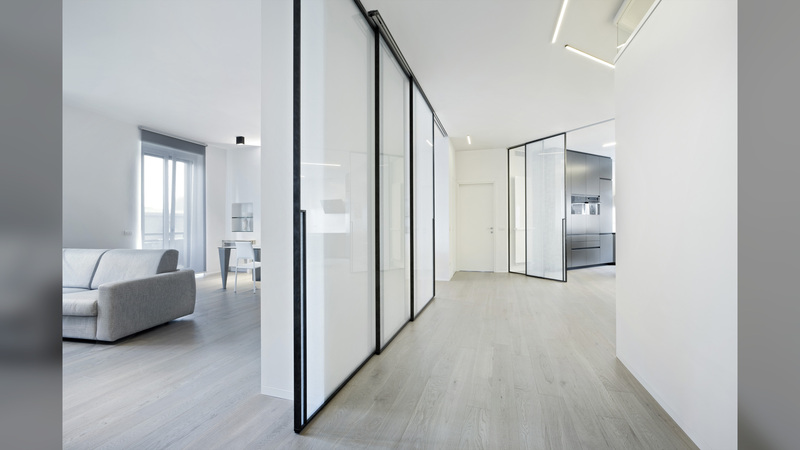 Large sliding glass doors ensure the possibility of separating single spaces, whilst at the same time ensuring the overall perception of an open space. 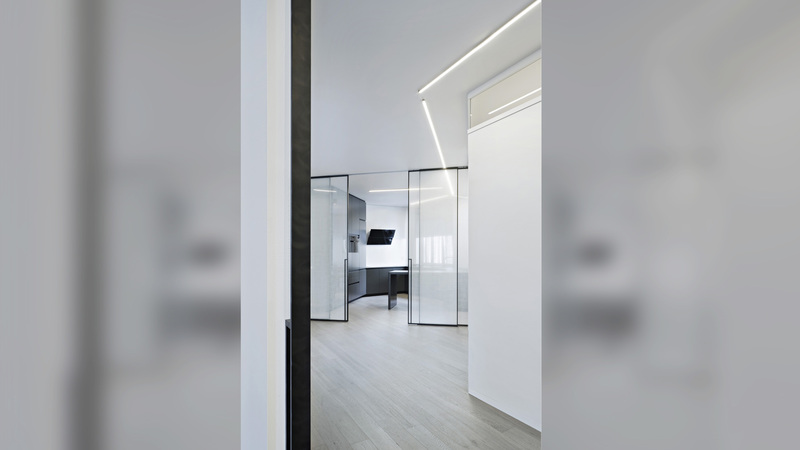 The lighting emphasizes this open space through a series of linear led lights running through the large entrance and reaching the kitchen by “crossing” the sliding doors. 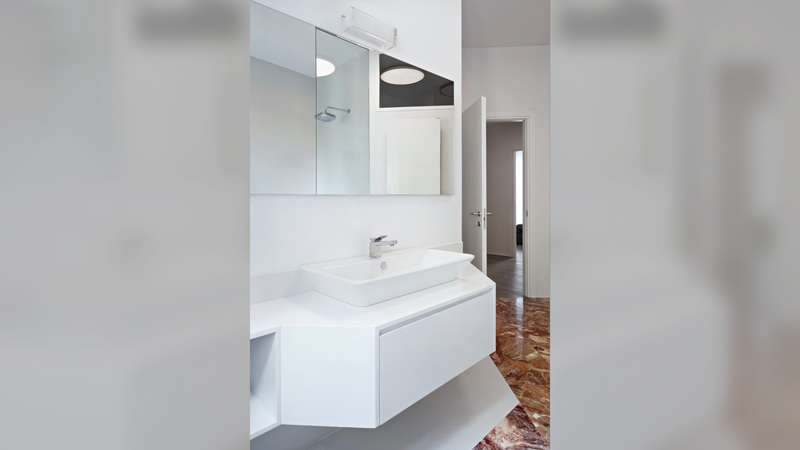 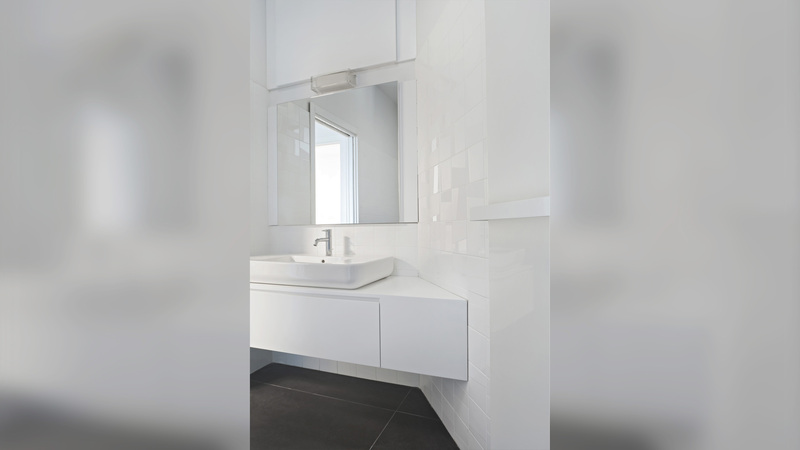 The floor of the entire apartment is made of wooden boards, except the bathroom with the main one benefitting from restored ‘’Old Macchia” marble flooring, originally located in the entrance area. 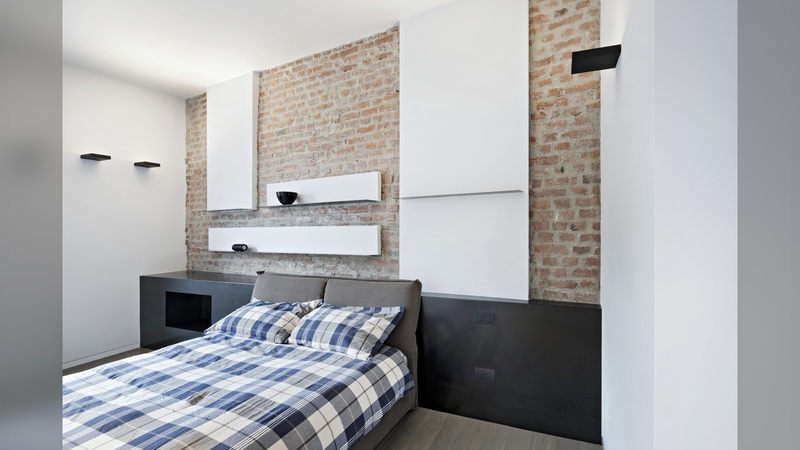 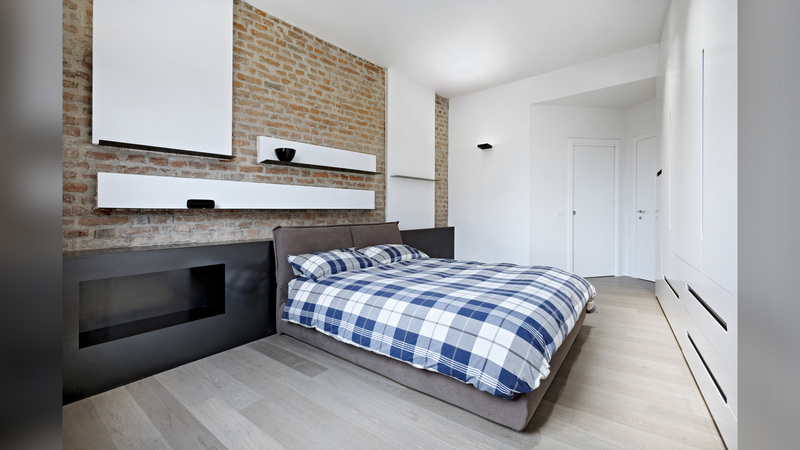 In the master bedroom, an old brick wall, hidden behind another wall previously demolished, has been restored and enhanced. 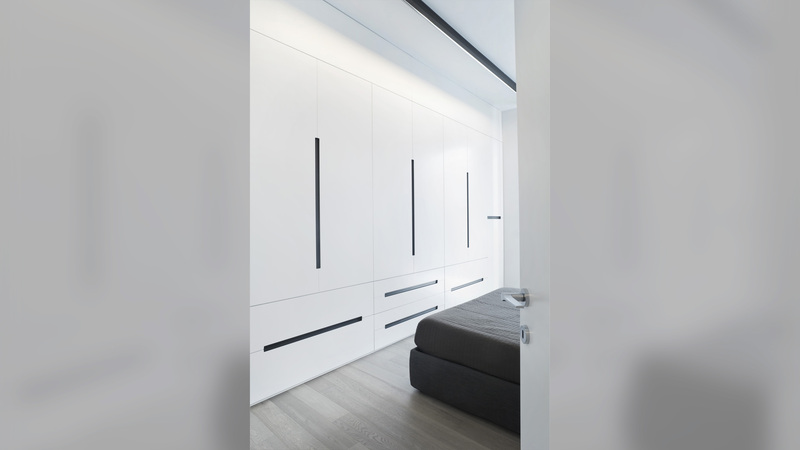 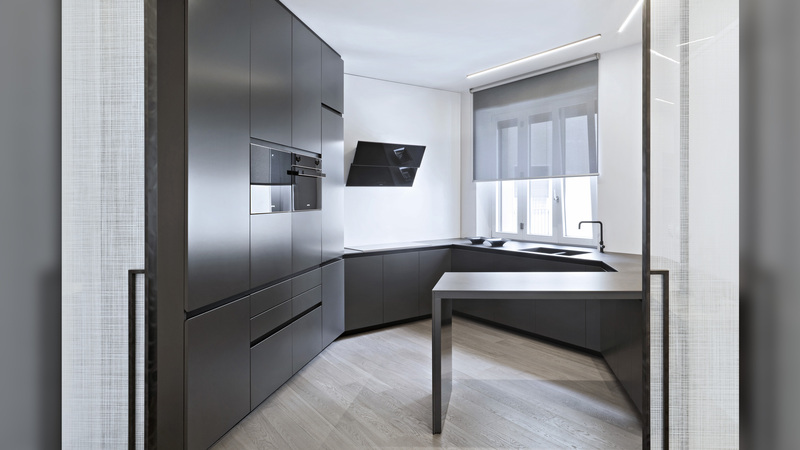 The custom-made furnishings are characterized by simple and dark graphic lines, which strongly contrast with the overall luminosity of the apartment. 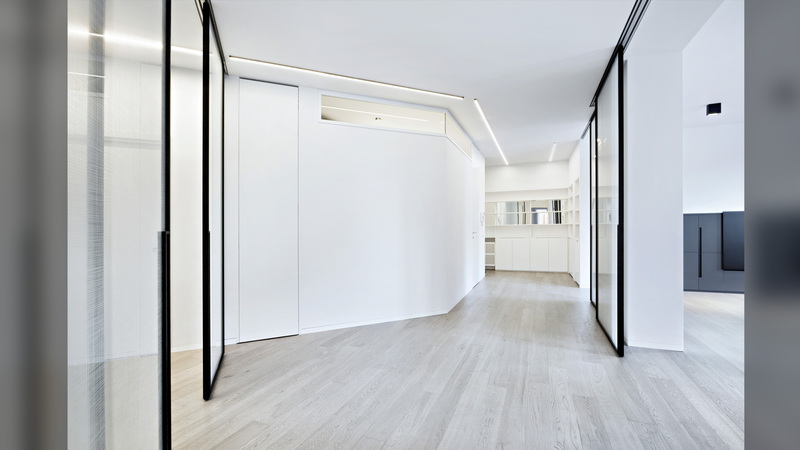 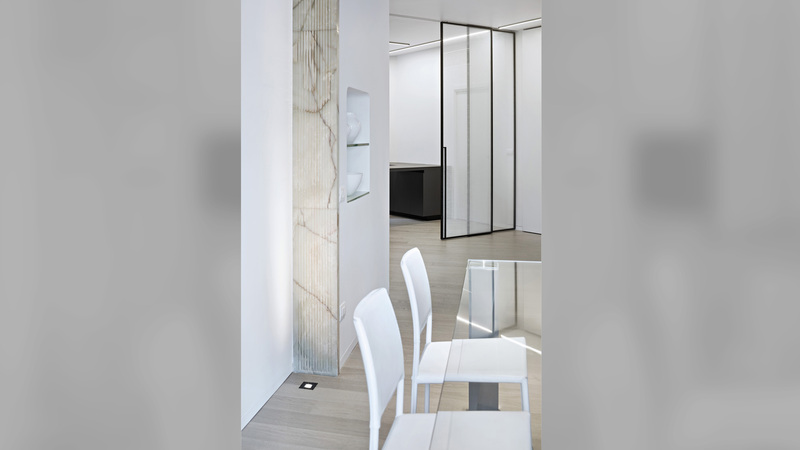 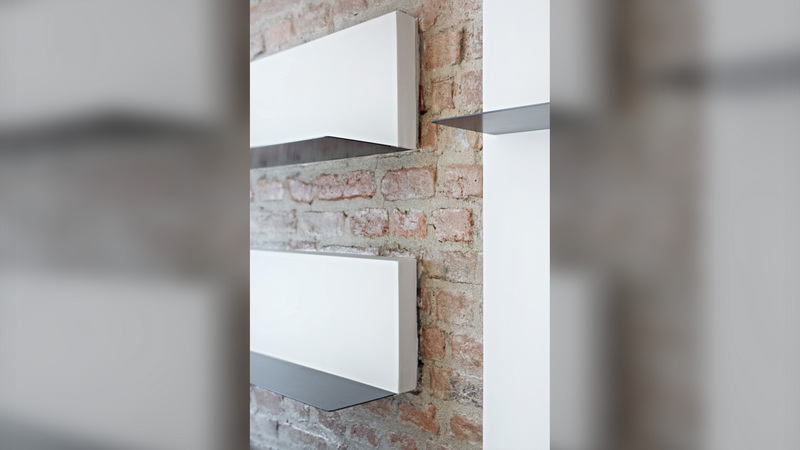 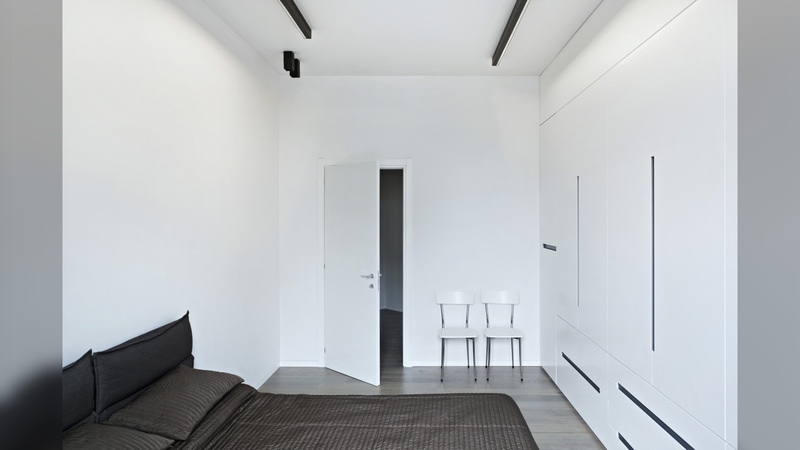 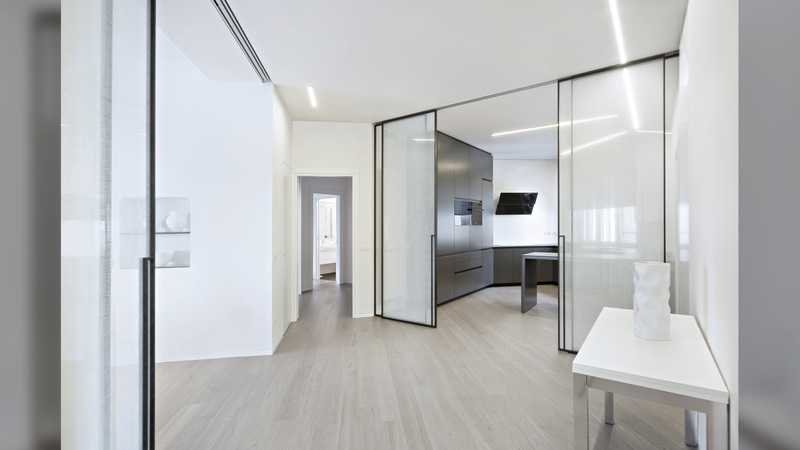 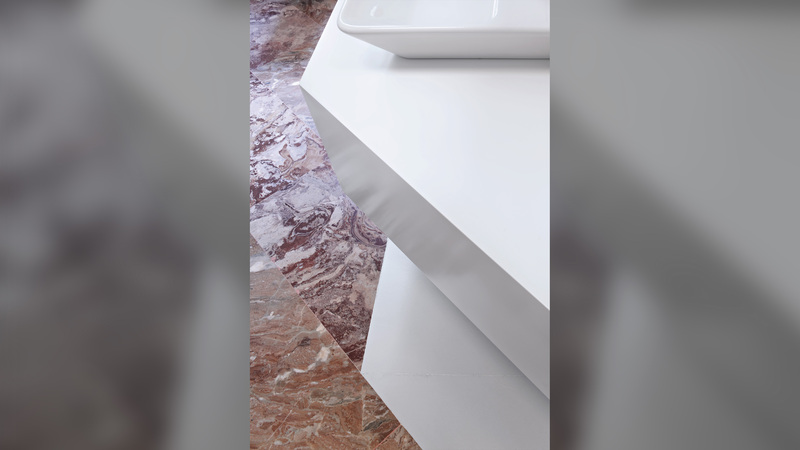 The result is a contemporary and dynamic, elegant and sober apartment, that reflects the mood of the new architecture so prevalent now across Milan.